My husband and I are 27 and 29. 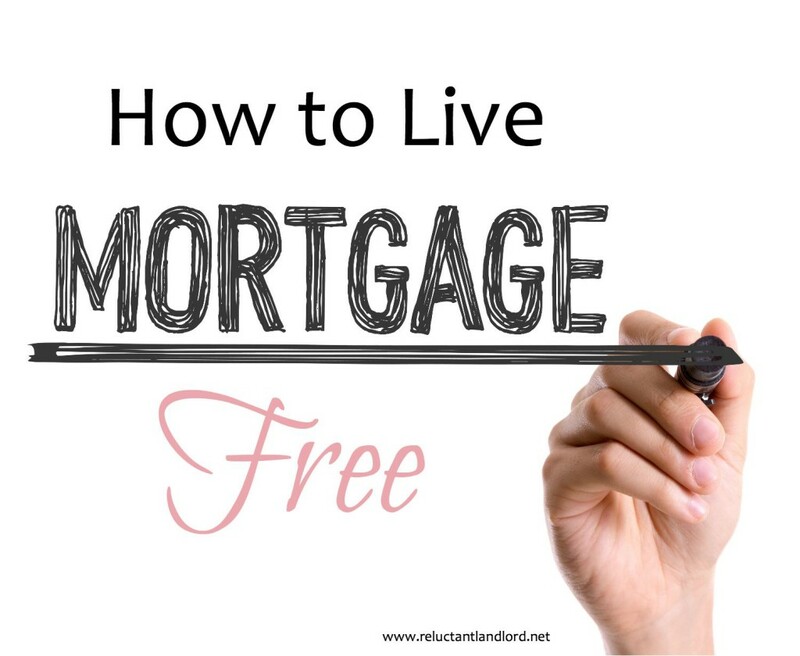 We live mortgage free. This didn’t happen overnight but through slow empire building, house by house, until we live mortgage payment and utility payment free! Our current dream home for our location (we are an active duty family so local is relative and so is dream) is a three bed two bathroom with office, 3 car garage and pool is paid for by the profits from our 6 rental payments. When we are transferred it will become another rental and now we will have even more money towards our living expenses. Over the years we have invested around $140,000 in down payments and repairs into our 7 homes. The profits from the houses have allowed us to live payment free,now, and hopefully eventually providing us the ability to retire early. For us, leverage and having mortgages has been the key. Having our mortgage and utilities covered would have never been possible if we had we just paid cash. For a couple of reasons. Our current house cost $238,000. Unfortunately our down payments of $140,000 would not have covered the cost of our current house. In addition to the cost of purchasing the house we would still have to pay taxes and insurance of $267 a month or so. This is a recurring charge even if you pay yearly, even with a paid off house . Our utilities are $300-$500 depending on the season. While solar panels or other renewal energy can reduce this charge by paying more up front; it won’t reduce the debt completely. As you can see the key is not having the cash to pay everything off to live mortgage/utility free, but having the cash flow to cover all the costs because there are unfortunately recurring monthly costs that will never go away. The point of this isn’t leverage, or debt. The point is to think outside of the box. For us, our goal was to build a business that allowed me to work from home. For me, my talents were building a rental empire that allows me to eventually stay home with our future children and hopefully eventually early retirement. My husband and I have lived frugally from day one in our marriage from paying cash for my Masters to having roommates to be able to afford paying cash for my Masters. In the beginning it was because we had to. I couldn’t find a job and decided to go on for my Masters so we were living on a junior officer’s salary. Of course since my undergraduate degree was in finance and accounting, for me to sleep well at night I needed an emergency fund AND money going into retirement. So things got even tighter. So learning not only to watch the little expenses but cutting the biggest expenses were the key to our success. I quickly learned housing was our biggest expense and the biggest way we could save money. Over the years as we have made more income my early infatuation turned into something more than that, an infatuation to live as cheaply and as close to free as possible. How you can live mortgage/rent free? Simply a reduction is possible too! Owning lots of rentals isn’t for everyone. The point of the post is not necessarily to own 7+ rentals but to look outside of the box. Growing up my family had a rental that we always self managed. While it had lots of moments, by sticking with it, it has been a bounty of financial blessing over time. Investing is very important for long term growth and benefit. The key to success is baby steps. Even if you only keep one house or put $400 away in your TSP or only save $200 in your emergency fund that is progress. The key is to continue to work towards it. In the beginning it felt like we were not making any progress. We had just one house that was making $300. It truly didn’t feel like anything. The key to keep in mind is that those $300 dollar bills are a car payment or the utilities that you just covered. Your way to achieve might not be building a rental empire but through blogging, a home based distributor business like Rodan & Fields or any other type of business that is your area of expertise or passion. I never anticipated being an entrepreneur or being able to work from home. Through hard work, slowly but surely I have reached there. You too can reach Mortgage free, be able to stay home with your kids or whatever your dreams might be. The key is not just to look at the path everyone takes but the one that works best for you. There are certainly more risks, we are 1.1 million in debt. On the other hand we not only been strategic but have multiple baskets AND back up, upon back up plan. In the end, for reward there is risk. So to reach your goals you will have to jump, but with preparation, dedication and ambition you will succeed at whatever you goals are whether it is a paid off mortgage to paying your rent or being able to afford extras for your kids. What are you goals? What have you done to create the cash flow to be able to afford these desires? Great tips here. For those looking to minimize or eliminate their mortgage, this article has some solid advice. I especially like this quote here, “The point of this isn’t leverage, or debt. The point is to think outside of the box. For us, our goal was to build a business that allowed me to work from home. For me, my talents were building a rental empire that allows me to eventually stay home with our future children and hopefully eventually early retirement.” Thanks for sharing! Hi Elizabeth! Perusing your website to try to get an idea of how this empire building works. So when you say that you are mortgage free, you mean that you have paid off all of the mortgages to your rental houses and now the profits from your rentals cover the cost of your mortgage and utilities? I’d love to see the math to figure out how we can start building our own early retirement lifestyle. We are mortgage free when you look at the cash flow from our rentals. Our cash flow from our rentals is enough to cover our mortgage and utilities on our 7th house. Starting Nov. 1st, every month I will have a rental income report. I will be sharing my numbers and tips. Look forward to seeing you there. Look forward to it! Thank you! Great article, looking forward to your rental income report. Here is the link to Octobers monthly report. I hope to have Novembers out in the next week or so.